First point is obvious, we should avoid any possibility we'll be left without air. Normally this is not issue, but if it happens to come across situation like that we have to try to prepare ourselves accordingly. This may happen on sinking boat, under avalanche and some other cases, which are not really the topic of this post. Second one is of great importance and normally can be addressed with proper preparation, because if we happen to be in harsh environment unprepared it may be is too late. However there are still things that can be done in some cases. For example during the winter in snow storm we can build igloo-type shelter just in time to save ourselves, or if there is no snow we can dig out hole in the ground and add some rocks and branches for additional cover. Still better if we are caught in the wild without shelter, but the condition in the moment are not so bad (its sunny day still) we may have time to build proper shelter until the fall of the night/arrival of the storm/etc. Here is coming handy knowledge how to build igloo, zemlyanka, tent, mud&rock house and other appropriate shelters. So we came across the first batch of essential skills and crafts. In my opinion most people should be able to do decent job even without much previous knowledge, because all of these are relatively simple and what is needed is a little bit of common sense and experience with tools. However we'll need something for digging out and cutting like shovel and machete/axe. Actually I am going to look for the best tools for the task and there may be even some good hybrid option. In that line of thought may be we'll need some knowledge of tool-making, for example flint knapping for making stone hand axe, hand spinning for making string from some plants or other fibre, so our axe can be upgraded with handle. Also in this category we may include the clothes, because even if they are not shelter per se, they may offer in many cases enough protection to allow us to survive the harsh environment. So here we came to the need to be known not only the craft of the spinning, but also weaving. With weaving we can make clothes, tarps, tents and other essential for survival items. Once we made sure we are protected from the elements we should think about the water. There are few cases in which we may be left without water. The first situation is if we are in some kind of dessert without any obvious water in any form. That is the worse case scenario, but there are still things that can be done. First we should try to find any kind of plant, the easiest way is just to squeeze some water form them, but if its too woody of we are not sure about poisons, we may cook it in something closed and to drink the evaporated and condensed water. If that is not an option we may try to do a condensation trap (which is essentially desalinating tool) and so on. Another situation could be that we have access only to non-drinkable water like, which is going to be much easier to be solved with proper knowledge and preparation. 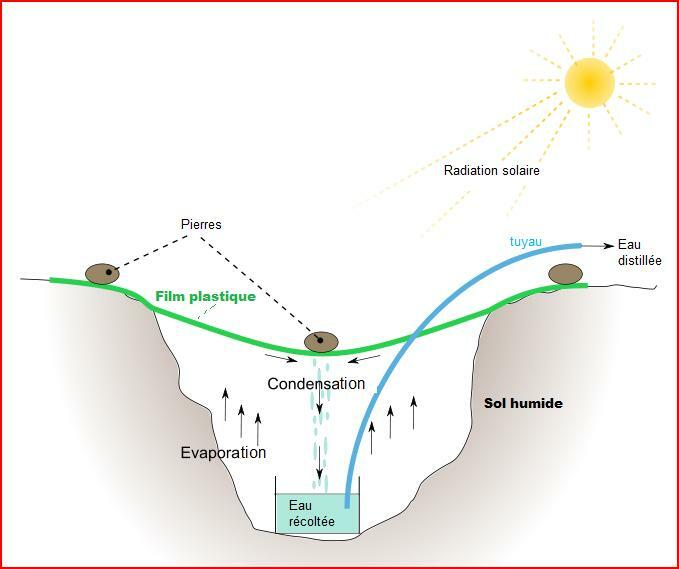 In cases like that I think we have to learn the exact methods of harvesting water with primitive and modern technologies and if possible always to carry with ourselves some items and tools, like big enough clear plastic sheet, pot with lid (for fire distilling) that facilitate the process. Here I am not yet sure the knowledge of exactly what crafts are going to be needed, if any, but I'll update in future. And the last is the food. Here I guess that we'll need to eat plants and animals found in the nature. with the plants, the case is relatively simple, we just have to find them and forage. We may not need too specialised tools for the gathering (probably shovel for digging out roots and some pots for cooking), but we need extensive knowledge of what can be eaten, how to find it and how to prepare it. The problem with the plants is that most of them are either poisonous or not edible and even many of the edible ones can't be eaten without the appropriate preparation. The animals on other hand are kind of the opposite case, near all of them can be eaten raw and are much easier for digestion and more nutritional. However there is the problem how to catch them. In nearly all cases we'll need some special weapon or trap and this are going to be essentially the crafts needed. Lets start with fishing, we can catch fish with hook and line (for this we need to know spinning and weaving), nets (spinning, weaving and special net-making), blind baskets (basket weaving), spears, harpoons, arrows (bow and arrow making), fishing with hands (needed experience), damns, poisoning and many, many other methods. Next are the birds and mammals, they can be caught with nets, snare-wires, traps, projectile weapons, throwing weapons and others. I guess we need to know how to craft and use all of these weapons and things. Last I think are the invertebrates. Some of them are not edible, but these that are may turn to be the best and most accessible source of food. There are survivalists that ignore them, but I think its mostly cultural thing. Invertebrates in most of the cases can be harvested very easily and are actually very tasty and nutritious. Some like snails or prawns are even delicacy. I'll look further into this and I'll make some experiments. Anyway the topic is just too big to fit it in one post, so I am giving only overview here and more detailed information will come in separated articles.